The way Shakespeare resonates in the lives of five luminaries from around the globe is the subject of the Living Shakespeare series from BBC World Service. The series has been produced to mark the 400th anniversary of Shakespeare’s death, in partnership with the British Council and The Open University. 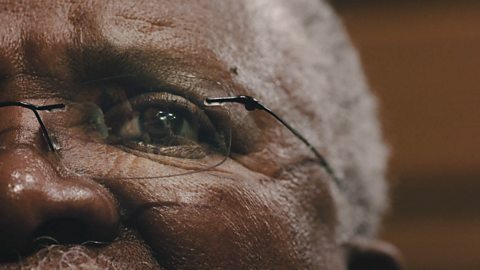 All the world really is a stage as we hear from five luminaries as they explore the playwright’s resonance in their lives - from actor Dr John Kani who recounts his experiences playing Othello in Apartheid South Africa, to Scottish musician Dame Evelyn Glennie who demonstrates how deafness is no impediment to hearing The Tempest. Bollywood actor Kalki Koechlin finds parallels between Hamlet’s Ophelia and women in India today, writer Hong Ying shines a light on sexuality and Shakespeare’s sonnets in contemporary China and choreographer Alissar Caracalla reimagines A Midsummer Night’s Dream in the mountains of Lebanon. As well as the contributors featured by the BBC World Service, the British Council has also published essays by other exceptional cultural, social and political figures who share their personal experience with the Bard’s works, including US Secretary of State John Kerry, Nobel Prize winner Wole Soyinka and renowned Algerian novelist Ahlem Mosteghanemi. The Open University is a co-funder of the project, and provided academic consultation and expertise throughout the process. In this episode, acclaimed South African actor Dr John Kani recounts his experiences playing Othello at The Market Theatre in Johannesburg during 1987, at the height of apartheid South Africa. Looking back he takes stock on how far the country has come, but also the continued relevance of the play in a still-divided society. In this episode, Hong Ying, author of ‘Daughter of the River’ looks at Shakespeare’s sonnets as they relate to sexuality and love in China. Banned during the Cultural Revolution, Shakespeare later became a cultural touchstone for Hong Ying and other artists in the 80s. Now, the sonnets are taking on a new resonance amongst the gay community of China today. 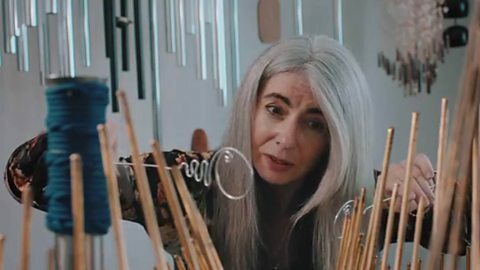 In this episode, Dame Evelyn Glennie talks us through her unique way of hearing and interpreting Shakespeare’s The Tempest. As a musician, she hears the sounds in the words of the characters. And as she just happens to be profoundly deaf, this takes on new meaning as she uses her ability to hear with her whole body to explore the ‘sound colours’ in the text. In this episode, Bollywood actor Kalki Koechlin explores the character of Ophelia from Shakespeare’s most famous tragedy, Hamlet, and relates her situation to the complex and often confusing role of women in Indian society. In this episode, choreographer Alissar Caracalla of the dance company Caracalla speaks of the unifying force of dance in Lebanon. She recalls the story of her company’s famous ‘Oriental Night’s Dream’ – a production based on Midsummer Night’s Dream, devised and performed in the Chouf Mountains during the closing months of the Lebanese Civil War. 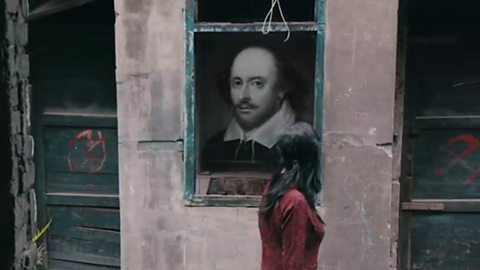 BBC series producer Jonathan Wells said: “It doesn’t matter in what language or what country, William Shakespeare is still as relevant today as he was 400 years ago. As our five international luminaries illustrate in the series, it is always possible to tie the issues of the modern world to Shakespeare’s works. The Living Shakespeare series goes live on 5 September. BBC World News Television will broadcast one episode a week from then, at 05.55, 10.55, 12.55, 15.50 and 18.55 GMT. The films are made in Arabic, Chinese, Hindi and English – and are translated for use across BBC World Service’s multiple language outputs. Watch six fantastic new films from Shakespeare's Globe. Poet, playwright, muse: The BBC Proms celebrate the Bard's 400th anniversary. Filmed in the round at the Royal Exchange Theatre, Manchester in front of a live theatre audience, King Lear played to sell out theatre crowds during its run, winning 4 and 5 star reviews across the board and was described by the Guardian as ‘as close to definitive as can be’. The best of the action, including Shakespeare Day Live.